One of the funnier commercials that aired in Canada was for Midas in 2011. 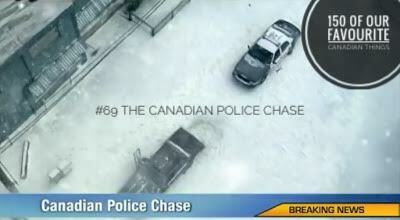 The commercial depicts what a Canadian police chase would look like if the cars didn't have winter tires installed. The commercial was an instant success and to this day gifs still make the rounds on the internet for those stumbling across it. The commercial proves that us Canadians love to laugh at ourselves and that winter tires are important!